Hilton Worldwide is an American global hospitality company founded by Conrad Hilton in 1919. Under the Hilton umbrella are more than a dozen different hotel brands, including Hilton Hotels & Resorts, Waldorf Astoria Hotels & Resorts, Homewood Suites, DoubleTree by Hilton, Embassy Suites, Home2 Suites by Hilton, Hilton Garden Inn, Hampton Inn, and Tru by Hilton. All these brands are covered in the Hilton HHonors Rewards Program. The all-suite chains (including Homewood Suites, DoubleTree by Hilton, Hampton Inn, and Embassy Suites) are particularly popular with families because their guest room floorplans feature separate living and sleeping spaces and conveniences such as a wet bar with a microwave and refrigerator. With more than 550 locations across six continents, Hilton Hotels & Resorts is a hotel juggernaut for family travelers. Many properties offer junior suites, connecting rooms, and family rooms. Many of the more upscale Hilton Resorts offer supervised children's programs. Examples include the Keiki Club at Hilton Hawaiian Village and the Cabo Kids Vacation Station at Hilton Los Cabos Beach & Golf Resort in Mexico. Some resorts provide other activities for kids and for families. For example, Hilton Hawaiian Village regularly offers children's parades, koi fish feeding, and complimentary family activities such as hula dancing. Hilton Los Cabos, meanwhile, offers a kids' welcome amenity at check-in, scavenger hunts, movies under the stars, in addition to Spanish 101, a one-hour fun and interactive Spanish lesson for kids age 5 to 18. Hilton Los Cabos Beach & Golf Resort in Mexico, where kids can participate in the Cabo Kids Vacation Station children's program and the Cabo Kids Oasis Program, a spa program designed specifically for children and teenagers. Massages, manicures, and even ice cream foot treatments are offered. Hilton Barbados Resort in Barbados, which offers the Kidz Paradise Club for kids ages 4 to 13, where children can go on treasure hunts, swim in the pool, and play beach games, Bajan games, watch movies, listen to storytelling, or play on PlayStation. The collection of Waldorf Astoria Hotels & Resorts includes luxury properties around the world. For families, flagship properties include The Grand Wailea on Maui, which features Camp Grande, a fun camp for kids ages 5 to 12. 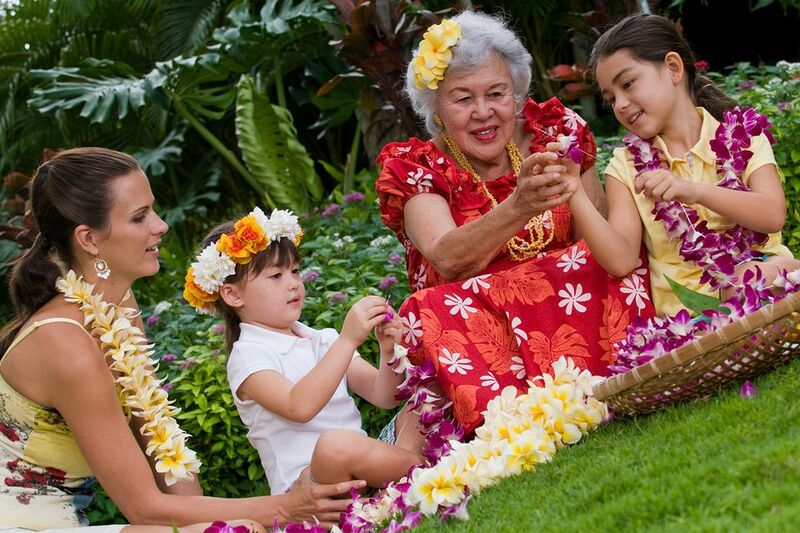 Children can learn to make an authentic Hawaiian lei, play ancient island games and listen to Hawaiian storytelling. The property features many pools, four championship golf courses, tennis courts, and a stunning beach. With more than 500 hotels in gateway cities, metropolitan areas and vacation destinations across six continents, DoubleTree by Hilton is growing rapidly as it brings full-service, upscale lodging choices to secondary markets such as Harrisonburg, VA, and Utica, NY—both of which are bustling college towns. And what's not to like about a brand that welcomes guests with homemade chocolate chip cookies? Families also love the convenient all-suite floorplans with wet bars or galley kitchens. DoubleTree Suites New York City Times Square, which has a smashing location in the heart of the City and offers spacious suites with a microwave, refrigerator, and wet bar as well as a free loaner program for cribs and strollers. Childproof rooms are available upon request. DoubleTree Hotel London Victoria, which is located across from London's Victoria Station, delivers immediate access to public transportation and sightseeing. Westminster Abbey, the Houses of Parliament, Soho, and Trafalgar Square are all within walking distance. For parents who would like a date night on the town, the hotel offers trained babysitters. A solid choice for families, Hampton offers over 2,00 properties globally. Families can count on a free hot breakfast, free Internet access, and floor plans that make sense. The "100% Hampton Guarantee" says that guests are not 100-percent satisfied with their stay are not expected to pay. Hampton Inn & Suites Myrtle Beach Oceanfront, which is located right on the beach and features indoor and outdoor pools, a lazy river and playground. The hotel is also minutes from nearby attractions, such as Broadway at the Beach and Ripley’s Aquarium. Homewood Suites makes families feel at home. Every spacious suite includes a fully equipped kitchen, with a full-sized refrigerator, cook top, microwave and dishwasher. Other features include an on-site Suite Shop convenience store, complimentary grocery shopping services (guests pay for the groceries), and laundry services at most locations. Homewood Suites Orlando, which is located just off Orlando's Interstate 4 near Universal Orlando. This all-suite property offers a hot complimentary breakfast is available every morning along with free dinner and drinks every Monday through Thursday. There is also a free shuttle service, an outdoor sports court, game room, and pool. Embassy Suites is a very approachable brand for families because it offers two-room suites, free cooked-to-order breakfast and a nightly complimentary evening reception with appetizers and beverages. Good locations for families include Embassy Suites San Diego Bay Downtown, which is a convenient base from which to explore San Diego. Families can expect spacious suites, complimentary breakfasts and evening receptions, and frequent special offers. Though designed for business travelers, Hilton Garden Inn is popular with families thanks to its comfortable room design, complimentary wi-fi Internet access, and free breakfast. Hilton Garden Inn Hershey, which is located near Hersheypark and within walking distance of many local restaurants. On-site amenities include a swimming pool and cribs/playpens available upon request. Hilton Garden Inn Washington DC Downtown, which has a fantastic location just blocks from the White House and U.S. Capitol. The hotel also offers cribs/playpens, family packages, and an indoor pool. Each guest at Home2 Suites is welcomed with a green apple as a reminder that this brand is all about being eco-conscious and sustainable. Home2 Suites maintains its swimming pools using minerals instead of chemicals, places recycling and recharging stations throughout its properties, ensures all guest room appliances have Energy Star ratings and uses dual flush toilets that use 20 percent less water than traditional toilets. Hilton's HHonors app includes a feature called Digital Key, which allows guests enrolled in its HHonors loyalty program to check into their rooms with their smartphone, allowing them to bypass the front desk check-in.